The vast majority of health professionals in the UK work tirelessly to treat their patients and provide a truly first class service. However, they operate under tremendous pressure and unfortunately medical mistakes do sometimes happen. Our years of experience have taught us that injuries caused by medical negligence can have a devastating impact on the victim and their family. It is therefore only right that they receive the compensation they are entitled to. Our clinical negligence team is dedicated to fighting on behalf of victims of medical negligence and recovering the compensation they are due. When selecting a medical negligence lawyer it’s important to establish that they are genuine specialists in this very complex area of law. 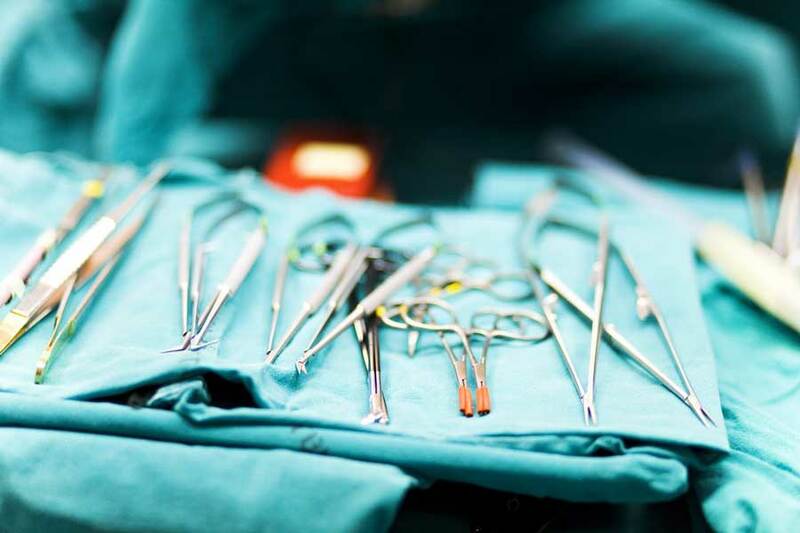 Our highly experienced team deal with all types of medical negligence claim, offering a personalised service to clients from all over England and Wales. We are happy to assess the legal merits of a case free of charge. If it is one we feel we can assist with we will create an individual case action plan. We offer various types of funding, including our popular ‘no win – no fee’ scheme which is backed by one of the country’s leading insurers of clinical negligence claims. This means you can leave us to pursue your case safe in the knowledge that should you claim be unsuccessful, you won’t have to pay legal fees. We understand that it can sometimes be difficult to speak to a stranger about a sensitive medical issue. However, we pride ourselves on our compassionate and empathetic approach. We do our best to speak your language and try to understand the situation you find yourself in. We appreciate how stressful and upsetting the process can be and will make every effort to ensure that cases are dealt with as compassionately and efficiently as possible. Our medical negligence team is recommended by the prestigious Legal 500; an independent guide to law firms, which attracts more than four million users online. In addition we have been awarded Lexcel accreditation – the Law Society’s kite mark for excellence in client care. Our lawyers have a wealth of experience in clinical negligence law and have recovered millions of pounds for our clients in recent years. Partner Oliver Thorne is fast acquiring a high profile reputation in the field and has become the ‘go to’ lawyer for many journalists interested in medical negligence news stories. We also operate two niche medical negligence websites where you can find lots more useful information. Our Medical Accidents website deals with a broad range of clinical negligence cases while our Birth Injury website deals specifically with issues that affect mothers and new born babies. We have recovered millions of pounds for children who have sustained brain injuries at the time of their birth. We also help mothers who have suffered injury during pregnancy or labour involving vaginal tears, caesarean sections, ectopic pregnancies, fertility/IVF and failed sterilisation claims. These cases can range from a misdiagnosed fracture to a hip replacement being performed negligently and are a very common type of negligence claim. Treatments for cancer are improving. However an early diagnosis usually remains crucial and a delay in diagnosis or a misdiagnosis of cancer can be fatal. Medical professionals should arrange for all appropriate investigations to be undertaken to ensure that cancer is ruled out. If they fail to do so a claim may arise. If a GP fails to refer a patient for specialist review or misdiagnoses a condition and the patient's health is affected as a result, then a medical negligence claim may arise. Where an inquest is held in a case where medical negligence is suspected we are able to attend court and raise issues that could be vital to the success of any subsequent claim. Cosmetic surgery is a multi-million pound industry, but surprisingly it is very poorly regulated. Our lawyers have specialist experience of dealing with negligent cosmetic surgery cases and we have been one of the leading firms the PIP breast implant scandal, representing hundreds of women, in the UK and abroad. Our lawyers deal with a range of dental negligence cases including cosmetic dentistry as well as routine NHS and private dental procedures that have been badly performed. Can I claim compensation from a GP? Do I need a lawyer to attend an inquest where medical negligence is suspected?